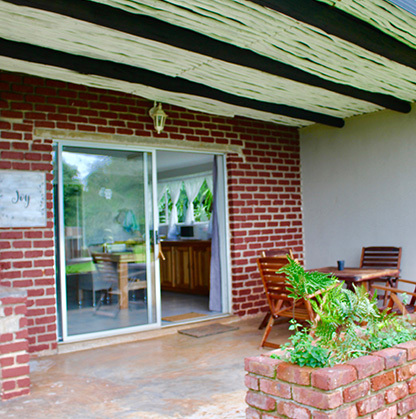 Granny Dot's Country Spot is a welcoming, friendly, warm hearted home away from home, situated in the magnificent Agatha farming community just outside of Tzaneen, a tropical paradise in Limpopo, South-Africa. Almost every window and patio overlook the majestic Wolkberg mountain range. The breath taking views and fresh air will leave you feeling recharged, energised, with a new zest for life. Granny Dot's Country Spot has a long history of providing a home away from home to tourists and business travellers alike. It is easy to understand why if you get to Granny Dot's and realize: gone is the traffic noise, gone are nagging sirens, gone are annoying phones, no shops, none of the irritations of the modern world... You might wonder: "What remains to be enjoyed?" Our answer: "Open air with eagles circling to spot prey, the sound of birds chirping, the wind through the thick vegetation, a baboon calling it's mate, mist rolling in from the mountains, starry nights, peace, contentment..."
We, Estelle and Helena, took over ownership in January 2018. Since then we have renovated the entire house and all the rooms have a crisp new look and with names such as Love, Hope, Peace, Trust, Faith and Joy you should feel at home and on top of the world. Guests are invited to come and enjoy the fresh country air, our warm hospitality and the new facilities, which are focused on enjoying and experiencing nature in all its splendour and making every guest feel at home. 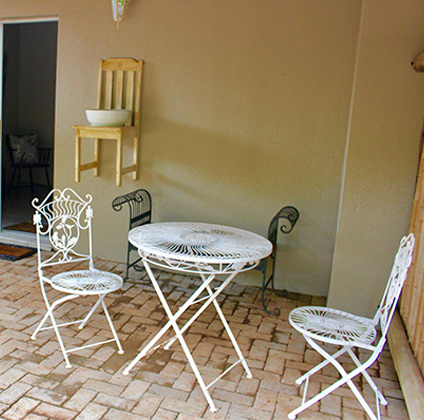 The guest house is situated on an avocado farm and is surrounded by plantations on the rolling hills of the country side, only 16 km from town. The last 3 kilometres a well-kept gravel road takes you to Granny Dot's, surrounded by beautiful blue gum trees, plantation and a spectacular view of the surrounding mountains. Estelle and Helena are anxiously waiting to welcome you in our piece of heaven on earth. 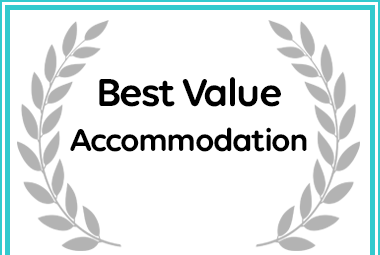 Granny Dots Country Spot in Tzaneen received a Best Value Destination Award from Afristay.com.